You are here: Home / Meet The Exhibitors! 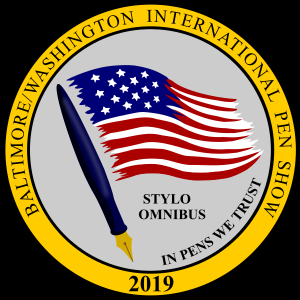 Interested in exhibiting at the annual Baltimore-Washington International Pen Show on March 2, 3, 4, 2018? Please view our Exhibit & Advertising Information page. The following companies and manufacturers are scheduled to exhibit at the Baltimore-Washiongton International Pen Show on March 2, 3, 4, 2018. This list will be updated as new exhibitors are added. We thank the exhibitors for participating in our annual pen show. The Philosophy of Franklin-Christoph is summed up in the Latin Fortitudo et Fides…… meaning “Strength and Honor.” Strength in the sense that complete dedication is given to the quality and endurance of all of our product offerings. Strength in that we build step by step, for the sake of the brand and our clients, not for the pursuit of immediate financial gain. Honor in that we stand behind every piece. Honor in that our attitude toward all business is to do what is right for all concerned. Strength and Honor in that we aspire to the integrity of the generations before us. Since retiring in 2003, I’ve developed a worldwide client base for sales and restoration, which has made for an unbelievable network of many wonderful people interested in the pen hobby. Martin’s interest in fountain pens began during grade school with a Sheaffer cartridge pen. Later in life, Parker 51 pens became an obsession for him and he later branched out into other models of Parker and Sheaffer pens. “Snorkel Solutions. Story Supply Co. is a craft stationery and design firm devoted to creating and selling analog tools that help people tell their story. Think notebooks, paper pads, postcards, posters, pens, pencils. Design and craft is at the heart of our products. We want products that look and feel good. We want products that inspire artists and makers to capture their ideas, design beautiful things, and share their stories. Our products aim to support sustainable manufacturing right here in the U.S.A. For example, many of our paper-based products will use companies like French Paper Co., a family-owned and operated mill that makes quality papers using 100% fully renewable hydro power they create on site. Luxury Brands of America is the distributor of Platinum, Noodlers Ink, Ink Miser and B & J Collection. They will be bringing the latest designs and are available to assist you with any questions you may have. Michael Quitt has been buying, selling and restoring vintage pens for over 25 years. He was also the vintage pen repairman at Bertram’s Inkwell in Baltimore for many of those years, as well as a seller of fine vintage pens at that same location. Federalist Pens is an eCommerce store run by an avid pen collector/enthusiast with more ten years experience buying/collecting/selling vintage pens! I am a History Teacher, and I decided to turn my hobby into a PT business venture! I now sell new pens as an authorized dealer for all new brands listed on the site. We also sell vintage pens, paper, ink, and accessories for this amazing hobby! David Silber is one of the most knowledgeable vintage pen collectors in the writing instrument industry and will be bringing more than 500 pens available for sale. NOYESVILLEPENS.COM is a pen site for mostly vintage pens in good shape, repaired and usable. It’s run David Silber, and is outgrowth his interest in old pens that goes back to 1968. Some explanatory notes are given as separate pages; do take a moment to read them–and correct David, as necessary. Bringing luxury writing back to America! We are a father & son team obsessed with creating perfected, American made writing instruments. We collaborate with select artists, jewelers, & machinists to create historical & horologic al, limited edition pieces. Tom Bailey buys, sells, swaps individual pens and collections. Designs and create custom pens. Owner, Alan Shaw has two divisions to his company. The first one produces pens to be sold by pen dealers. The other division makes pens for the corporate world. These are high end pens worthy of give to special clients and executives. Perlson Enterprises specializes in pens, pipes, lighters and vintage tobacco. Judd Perlson is known worldwide in the Pen and Pipe Community and the “Big Guy” has been collecting as well as trading pens and pipes for over 40 years. Aside from his vast knowledge of pens, pipes and vintage tobacco he is a unique and memorable character. Once you meet him, you never forget him! Kanileas writing instruments are thoughtfully designed and meticulously handcrafted to express our earth-bound paradise, both in physical location and state of mind. They are the first to capture this essence within fine writing instruments. Each pen has been designed from their personal experience, and represents a particular Hawaiian location they visited or element of nature we encountered. Herbert Pen Company are constantly looking for a new challenge. Creating custom pens at our customer’s request is both challenging and exciting. They hope to share their love and passion for writing by corroborating with you to create the prefect custom fountain pen for you to enjoy or as a gift for someone special. Good Made Better was founded in 2017 with the simple goal of making and selling a useful, attractive, and well built product, the Penwell. While the product itself is a recent development, nothing is created in a vacuum, or more precisely said in this instance, no one can escape the shaping effects of their childhood. As a company, they want to create and sell good products at a good value, and to treat their customers well, as they would like to be treated themselves. Richard L. Greenwald, LLC offers unique limited edition hand made pens, crafted by Richard L. Greenwald. Each pen is made with hand-colored and hand-cast plastics. The exterior fittings are made with nothing less than sterling silver; while the mechanisms, springs, and refills are the finest that Germany has to offer. Everything else is done “in house.” When you acquire one of these fine writing instruments, you will be writing with a piece of hand made functional art, with no two being exactly alike. Scott & Sheri Coats started their business to deliver unique and beautiful writing instruments that amaze and delight. Their pens are meant to provide years of writing pleasure and carry a lifetime guarantee! In the spirit of all past pen inventors, Michael started designing better gripping pens in the early 1990’s due to the calluses on his fingers. His efforts resulted in two U.S. Patents being granted to him named Ergonomic Writing Instruments 5,228,794 and Ergonomic Instruments 5,332,324. By licensing the invention to a Taiwan importer, Michael was able to successfully market his patented spiral barrel as “The Worm ™ Pen”, to Wal-Mart ® and other mass-market retailers in the U.S.A. International sales were also achieved in Japan, Taiwan and Europe. Do you get your car serviced by the salesperson who sold it to you? Indy-Pen-Dance does not think so. So then why would you ask a salesperson to adjust your next fountain pen? Right. You wouldn’t. Don’t risk the luck of the draw with your purchase when you can get it right the first time from people who know fountain pens inside and out. That would be us, the people of Indy-Pen-Dance. 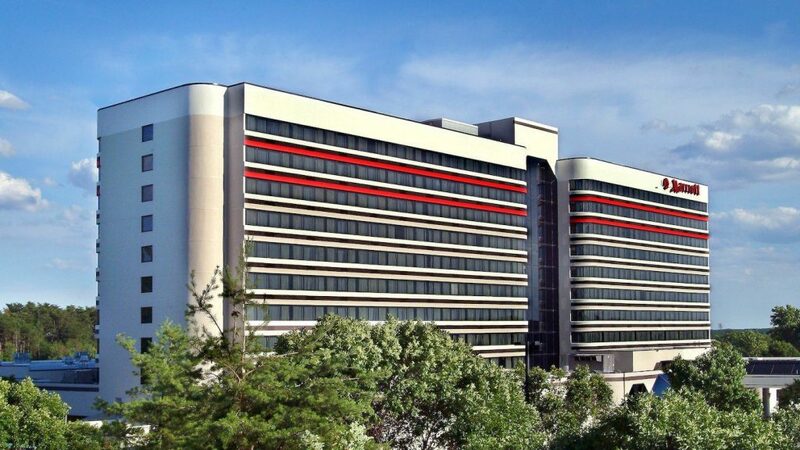 Diplomat, Germany has been producing fine writing instruments since 1922–fountain pens, ball-point pens, roller ball pens, even mechanical pencils. Consider Diplomat pens for all of your gift needs–they make great birthday gifts, back-to-school gifts, and graduation gifts; as well as corporate and executive gifts. A luxury pen is a gift that always fits and never needs to be returned. The Bexley Pen Company was founded in 1993 by a handful of vintage pen enthusiasts. After decades of admiring, collecting, and restoring vintage writing instruments, we wanted to use modern technology to create American classic designs reminiscent of the Golden Age of Fountain Pens. Bexley manufactures high quality writing instruments in Columbus, Ohio, USA and distributes them to dealers around the world. Anderson Pens is the joint effort of Brian and Lisa Anderson, two long time pen collectors who actually met through the collecting hobby, fell in love & got married. 2010 was a busy year for them – they got married AND founded Anderson Pens – life has never been better!! They started their online store, and attended pen shows all over the country; generally 12-15 shows a year. In November 2013, they opened a retail brick & mortar pen store in downtown Appleton. Brian and Lisa Anderson have over 36 years of combined experience buying, selling, collecting and using vintage and modern fountain pens, inks, and fine papers. William Weakley is one of those amazing pen salespersons who not only sell pens, but also manages to evangelize the hobby. The J.J. Lax Pen Company is the labor of love of one man. Joshua J. Lax, Esq. started collecting fountain pens 2009, and began restoration and nib work a few years later as an outlet from his day job. He attended Richard Binder’s master class on fountain pen restoration which involved some nib work, have studied one-on-one with Mr. Binder and continue to have a tutorial relationship with him. Joshua is the founder of the Big Apple Pen Club. ASA Pens of India utilized a design he helped create for the ASA Nauka. Hirsch Davis has been buying, selling, and trading vintage writing instruments since 1995. He specializes in vintage Crocker and Chilton fountain pens. Hirsch Davis is a psychologist and has worked at the National Institutes of Health in Washington, D.C. since 2002. Mario Campa of Toys from the Attic specializes in selling Electronics, fine gifts, fine writing home theater, jewelry, watches, musical instruments. They are often known for being the “North Carolina’s Only Independent Discount Office Supply Store” as well as “A Unique Gift & Card Store Specializing Pens & Pencils”! They have been in business for 20 years in Chapel Hill.Their store has a vast amount and varieties of office supplies such as papers, notebooks, pens, pencils, including art supplies and toys. Our business really flourishes in the area, many thanks to our loyal customers within their small community of Timberlyne, Chapel Hill. Tom Harvey, pen collector, and designer, and owner of The Pen Guardian. Over the past forty years, he has invested a lot of time and money collecting pens but he wasn’t happy just stashing them away. Harvey wanted to use and enjoy them. That’s why he created The Pen Guardian.THE PEN GUARDIAN IS THE PEN PROTECTOR THAT FITS IN YOUR POCKET. He designed it so that the actual clips of your prized pens hold the Guardian’s inner wells securely in place while in your pocket. This helps prevent damage from banging together, holds your pens upright to keep the caps from unscrewing, and minimizes the risk of leaking. If a pen does leak, The Pen Guardian’s unique design of gluing and stitching helps contain the leak and protect your clothing. Vintage pen collectors, seller and organizer for the Ohio and Triangle Pen Shows. Carl Seidl has long appreciated fine writing pens. Most recently, he has been combining his love of unique ink pens and woodworking by fashioning pens from a wide variety of wood, acrylics, and other materials. He has been commissioned by the gift shop in Historic St. Mary’s City, Maryland to make pens out of antique tobacco sticks indigenous to the Maryland region.His love of fine writing instruments and a particular type of vintage pen led to the creation of the RetroFit Pen. Because of lack of original components to repair the vintage pen, Carl’s creative mind designed the RetroFit Pen essentially converting a classic nonworking vintage fountain pen into a ballpoint pen with the vintage appeal. Distributor for Monteverde USA, Conklin, Pineider, Stipula, Napkin, Online, Schmidt, Parafernalia, Delta, Marlen, Hugo Boss, Yafa Line Promotional Products and Monteverde USA 365 Collection brands. Owned by Mark & Marie-Christine Hoover. They have been acquiring, collecting and selling writing related objects for well over 20 years. Now in its third generation, the Vanness family continues to serve central Arkansas. Orville Vanness could never be pinned down to a date for his original store. He began repairing razors in Snodgrass and Bracy drugstore in the early 1930’s. He quickly added on fountain pen repair. He dreamed of having his own name on a sign; and sometime around 1938 he opened shop in downtown Little Rock. Orville passed his skills on to his sons. Together, Dennis and Van continued the family tradition; with added locations and retail merchandise. Today, Orville’s grandson, Mike, (Dennis’ son) carries on the family tradition. Distributor for Speedometer Official, Aurora, Dalvey, Montegrappa, Paul Picot, U-Boat, Ballast, Kenro Creative brands. Laban Pen Corporation was founded in 1981, when John Hu partnered with his brother Charles to build their own manufacturing plant with the goal of producing the highest quality Silver and Rhodium-plated writing instruments. The Taccia Pen Company was founded on the core belief that pens should be affordable, stylish, and well built. Pens are the perfect accessory – fun to collect, display and wear, and an intimate form of communication often lost in this internet age. Owner Mike Allen is a USAF veteran located in South. Carolina and makes fountain pens. Prices vary but most are $135. Afreva’s Vintage Pen Store was recently founded by Fred Gorstein, a pen collector and trader for more than 35 yrs. He served as the editor of the PCA PENnant publication for several years and is a strong supporter of the pen collecting worldwide. Our principal goal is to offer quality vintage and some modern pens, including many of current manufacturers as well as rare and unique pens of historical interest. Brands include, Parker, Sheaffer, Conklin, Waterman, Wahl Eversharp, Montblanc, Pelikan and Esterbrook. In 2007, Brad Dowdy started a blog, The Pen Addict. It was a place where he could share his obsession with pens in a healthier way than hoarding them and building a small cabin in the North Georgian hills from empty pen barrels and cartridges. He posted about the good, the bad, and the ridiculous. His passion for pens was stymied by the lack of an appropriate vessel to carry his collection through the dark alleys of the stationery world.Jeffrey Bruckwicki, of Project of Seamster, started sewing back in the pilgrims year of 2008 under the moniker of Gnome Bags. His understanding of bags only grew as he moved from the Michigan ice flats to the lush forests of Georgia. The higher temperature required rethinking the idea of a bag. He focused on designing around contents not just designing silhouettes. In 2012, with the brand Alter MFG, Jeffrey sewed the first Mod.02 pen(cil) case and sent it to Brad.It was almost a year later that their two obsessions found a platform to join, Nock Co. Putting Ink on Paper for over 50 years! Dromgoole’s Fine Writing Instruments is a 4th generation family business. Co-founded by Louis and Gene Dromgoole in 1961, we were known for being one of the largest typewriter and calculator dealers in the state of Texas with five locations. In 1987 Larry (grandson to Louis and son of Gene) purchased the Rice Village location from his dad and has been evolving the business ever since. What you see today is a vision that has obviously moved us from office equipment to the world of fine writing instruments and stationery. Most would consider us what would have been a traditional stationery store, but a whole lot better! Bittner’s Boutique is located on Ocean Avenue in beautiful Carmel-by-the-Sea, CA and also known as “Pen Heaven” among many of our customers, collectors and friends. Bittner is a Mecca for the Writing Enthusiast. Encompassing a vast collection of the finest Writing Instruments, rare collectibles, fine papers and note cards, hand bound journals, specialized inks, seals and seal waxes, engraved stationery, watermarked and handmade papers Bittner has gathered a truly remarkable and world class collection. Opus Mechan is a Company formed by fusing the talents of our founders, families and team. The two founders have backgrounds in machining, pen making, jewelry and watches. We have taken these talents and combined them to form a truly legendary brand. Our proprietary process enable the team to create products that are unrivaled in the Pen and Luxury Goods Industry. All of our products are hand crafted in our Detroit and Auburn MI facilities. Supporting American made products and jobs. Jonathon Brooks, owner and operator of the Carolina Pen Company is based in the small town of Alken, SC where he was born and raised. He resides with his beautiful wife and daughter. His venture into making pens started in 2009 and has since developed his knowledge, skills, and techniques to turn your basic writing instrument into a piece of tangible art. One of the skills Brooks has invested into himself is the learning how to design and create his own line of custom resin pen material. This allows Brooks to be able to tailor each pen to its owner. Whether its Alma Mater colors, wedding colors, a favorite sports team, or just a classic pairing, he is able to make a pen an extension of your personality. Which is how he came up with his slogan/catch phrase of “Putting your personality in writing. From the beginning, Ryan Krusac was immersed in art. Growing up with both parents as teachers, who were active in the arts, Ryan received formal art training from a very young age. He was taught to “see” as an artist must, and was given the tools necessary to be creative. He was surrounded by original works by Picasso, Dali, Currier and Ives, as well as literature on all of the masters and modernists. Art was a part of life, and soon became a passion. Krusac offers custom work, so if there is a unique idea for a fountain pen or rollerball pen you envisioned he can help you to make your dream a reality. Unlike the woman who lived in a shoe and didn’t know what to do, Bert Oser has been living in an inkwell for more than half his life and, judging from his track record, knows what to do and has done it. As a result, Bertram’s Inkwell, the suburban Washington pen shop Oser opened when he was just twenty-one.In many ways, Bertram’s Inkwell has gone beyond being just a store, evolving into a community of sorts where pen lovers drop in to chat with the staff, shmooze with each other and possibly buy something.Oser occasionally brews a cup of coffee for a visitor. And so life in the Inkwell goes on. Young Bert’s dream has reached fruition, and midlife Bert doesn’t see his future self embarking on any major life changes. He likes what he’s been doing for the past twenty-five years and plans to continue on the same path. Bert Oser is, in short, a happy man — and you can’t ask for much more than that. The PCA continues to sponsor Pens for Kids (PFK) workshops at several U.S. pen shows each year. PCA member Ralph Stillwell serves as master facilitator and content expert for the workshops.The workshops are designed to engage the kids on their level, fostering an interest in pens and pen collecting in the next generation. The PFK workshops also stress the importance of handwriting and personal expression in communication. Each child is given a fountain pen to use during the workshop and then to take home.